Washington (AFP) - Democratic leaders accused an isolated President Donald Trump on Monday of sowing Christmas "chaos" after the stock market plummeted and the US government shutdown hit a third day. "It's Christmas Eve and President Trump is plunging the country into chaos," Nancy Pelosi, who takes over next month as House speaker, and Chuck Schumer, the top Democrat in the Republican-led Senate, said in a joint statement. With Congress out of town, there was no chance for progress on the government funding crisis. Trump's demand for a $5 billion US-Mexico border wall -- a pillar of his election platform -- has been rejected by Democrats and some Republicans. In retaliation, Trump refused last week to sign a wider spending bill, temporarily stripping funding from swaths of the government. "Nothing new on the shutdown. We need more border security," Trump said at the White House on Monday. Trump tweeted more than 10 times on Monday to lash out at opponents of the wall project and to renew his verbal assaults on the Federal Reserve, which he blames for growing jitters over the US economy. The Dow Jones index sank more than 650 points, the worst ever performance on a Christmas Eve, according to CNBC television. 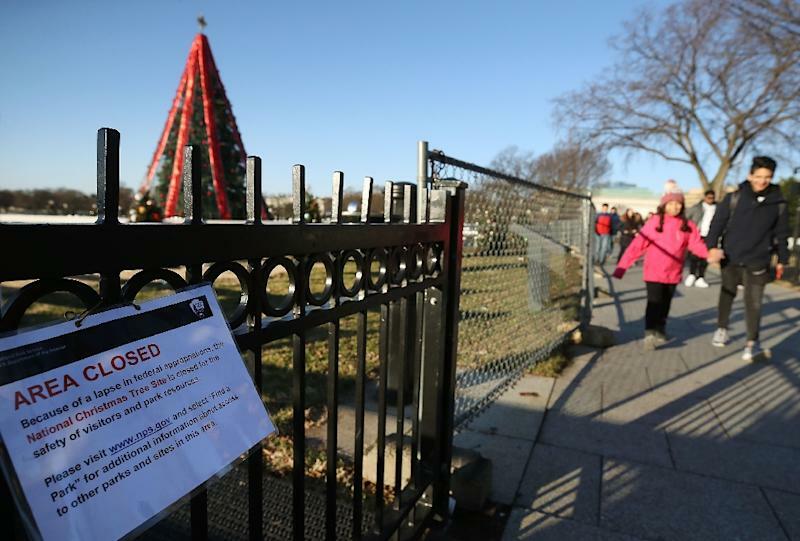 Outside the White House, Washington's National Christmas Tree became a forlorn symbol of the dysfunction when the National Park Service -- one of the government bodies hit by the funding shutdown -- briefly turned off the lights. It was brought back on after help from the service's charity foundation. And the budget standoff could drag on into January, when the new Congress is seated, although negotiations were planned for Thursday, offering a glimmer of hope. Trump, who had to delay his annual Christmas holiday in Florida, tweeted: "I am all alone (poor me) in the White House waiting for the Democrats to come back." The government shutdown adds to uncertainties spooking global stock markets after a tumultuous week in which respected Defense Secretary Jim Mattis resigned and the president stepped up attacks on the supposedly independent chairman of the Federal Reserve. Last week, the central bank hiked rates, infuriating Trump who has ignored traditional respect for the Fed's independence, calling it "crazy," "out of control" and a greater economic threat than China. In a tweet Monday, Trump compared the Fed to a blundering golfer "who can't score because he has no touch - he can't putt!" Trump's Treasury Secretary Steven Mnuchin had spent much of the weekend in damage control mode following reports that Trump had privately asked cabinet members whether he has the authority to fire Fed Chairman Jerome Powell. And domestic issues are just part of the far from merry Christmas picture, with Trump also juggling a trade war with China and fallout from his abrupt decision to pull US troops from Afghanistan and Syria. About three-quarters of the government, including the military, is fully funded through September 2019 but the partial shutdown forced several other major agencies to cease operations from Saturday. 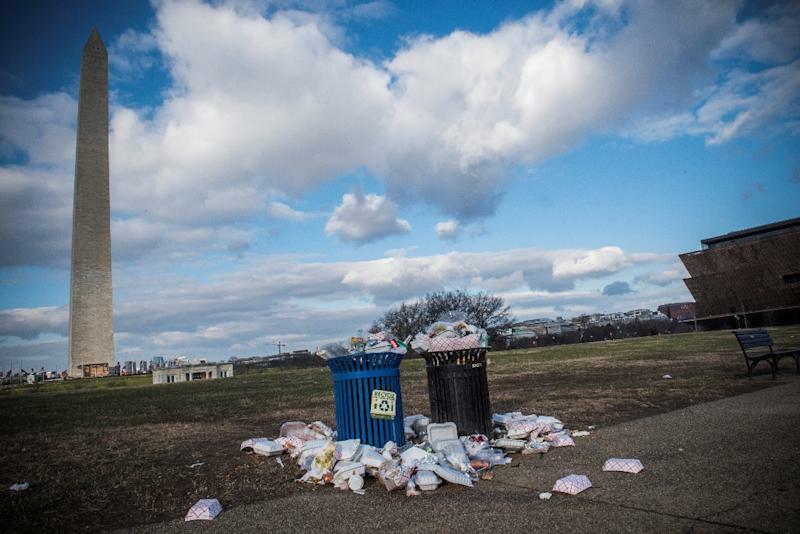 The shutdown meant that more than 400,000 federal employees reported to their jobs on Monday without getting paid, while nearly 400,000 others "will be locked out of work with no pay," the American Federation of Government Employees union said. "No private business or company would be permitted to impose on or disrupt the lives of their employees in such a manner," the Federation said in letters to the Senate and House of Representatives. "It's very possible that this shutdown will go beyond the 28th and into the new Congress" which takes its seat in early January, White House budget director and incoming acting chief of staff Mick Mulvaney said. But while trying to pin the blame on Democrats, Mulvaney, speaking on "Fox News Sunday," acknowledged that Trump's hardline stand played a role. 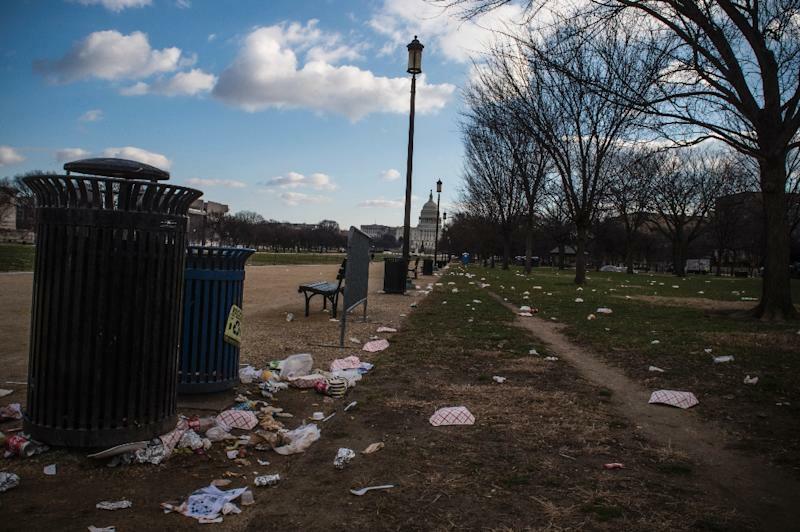 "This is what Washington looks like when you have a president who refuses to sort of go along to get along," Mulvaney said.